Editor’s note: We are currently revisiting this review and comparing a number of Couch to 5k apps on the market. Look for our updated review soon! Finding the right couch to 5k app can be tough. They are a dime a dozen. If you search the App Store, you’ll find tons of options. Some of the apps are well-maintained, and others are not. But, the goal remains the same: to get you off the couch and working towards a 3.1 mile run. This may not sound like a lot, but for non-runners, 3.1 miles (in my opinion) is the magic distance where running goes from the worst thing ever to this is actually fun. These apps aren’t asked to do near as much as a general purpose running app, so they should be focused and easy to use. 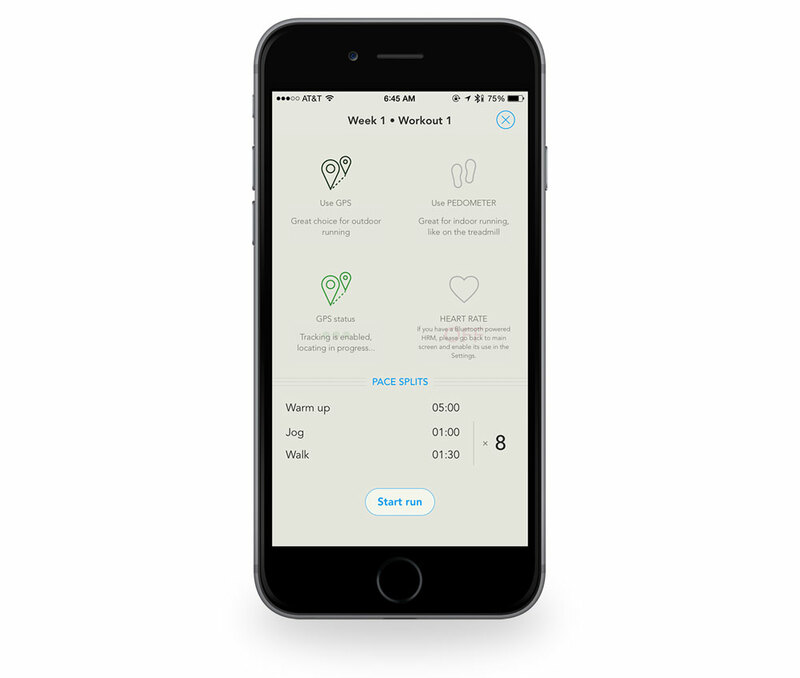 Run 5k is our favorite couch to 5k app due to its simple design, ease of use, and integration with Health.app. It’s free for a few workouts, and costs $4.99 to unlock the entire plan. Run 5k is extremely simple, but still very useful, which fits with what this app is trying to do. If you are a runner, and have been for a long time, you might have forgotten that to non-runners, running is the worst thing ever. I started running a few years ago, but prior to that I joked that I only ran if someone was chasing me. This class of apps and services is foundational for a lot of new runners. The design should acknowledge that. It shouldn’t do too much, but it should fit in with modern iOS designs. A couch to 5k app, like dedicated running apps, are not apps that you spend a lot of time looking at. You tap on the icon, find your plan, hit go, and start your workout. Couch to 5k apps are also not apps that you will use forever like a dedicated running app. Once you finish the plan, you are likely to delete it since they are often a short term tool to help you jump-start your running workouts. 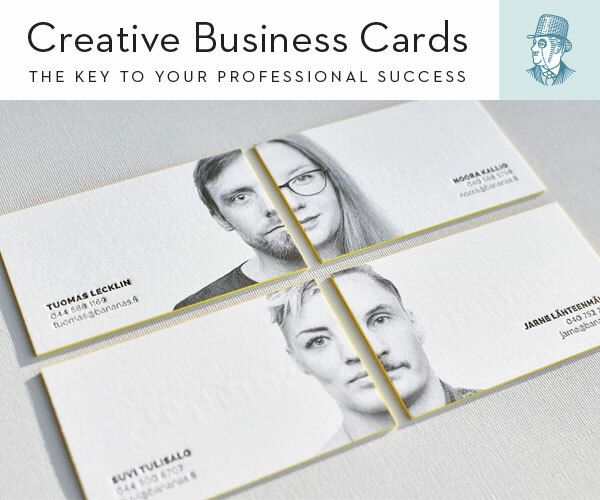 They start with an end goal in mind, and the design should reflect that. Run 5k opens with a screen that shows your last and next session. The last session shows the distance and date that you ran. Tapping it will show you a more detailed listing about how long you walked, ran, and how many calories you burned. If you have a heart rate monitor paired, it will show that information as well. There is a toggle at the top of the screen to allow you to see past runs instead of just the most recent. The settings screen is full of useful options. You can customize the voice coaching, customize the distance units and speed measurement, change themes, and switch to the system font and size. You can also disable your Apple Health integration (it pulls in your gender, age, height, and weight) and heart rate monitoring. It’s not an exhaustive list of tinkering, but it’s enough to make the app work the way you want. Overall, it’s a solid design. 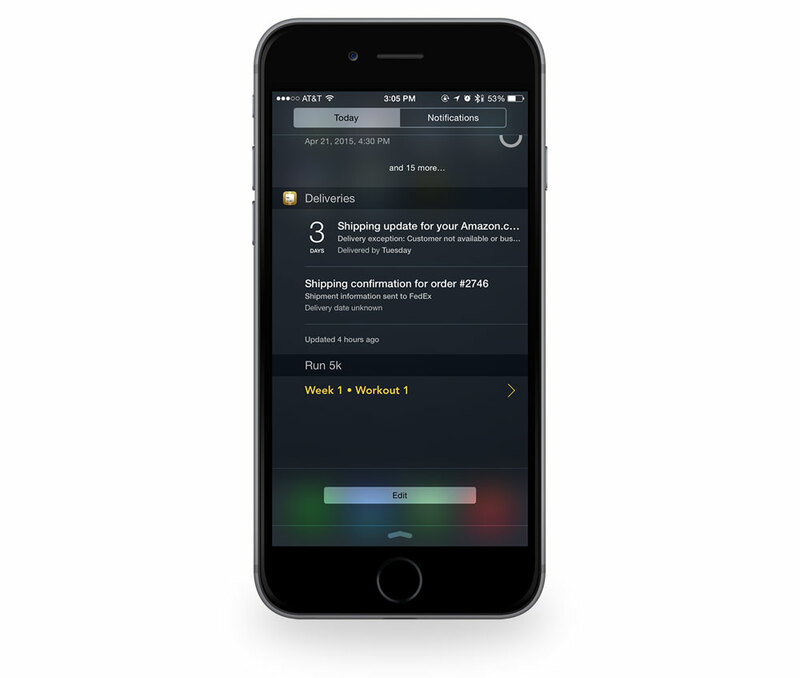 It’s been updated for iPhone 6, and it fits in with iOS 9 design standards. I prefer the light theme, but it offers a dark as well. I have absolutely zero complaints about the design. It also includes a Today view widget for quick access to your next run. On the screen where you start the run, you have the option to switch from GPS tracking to using the M7 chip in an iPhone 5s or iPhone 6. This is useful when running on a treadmill (or dreadmill as I call it). On the running screen, there are 2 options: Pause (followed by End run) or Skip ahead. Skipping ahead would be useful for skipping the walking section if you don’t want a break. Overall, this Couch to 5k app is fool-proof. It’s easy to customize the settings, see the workout plan, and start your run. The in-run experience for Run 5k is exactly what I want. It includes appropriate voice-over prompts and lets me manage my own media playback. Years ago, apps needed to integrate media playback in apps, but with iOS multi-tasking options, I want to control my own playback. I listen to a lot of podcasts while I run, so I want to be able to launch Overcast, start a show, and then switch back to a running app. Run 5k does it, and will lower the volume when it needs to notify me of the next step in the plan. Voice-over prompts for a Couch to 5k app are different than ones for dedicated running apps. A new runner isn’t as concerned with knowing their current pace while running compared to a more experienced runner. They are concerned with simply following the program. They want to know when to jog and when to walk. The app is certainly tracking the pace, but it’s not necessary as a voice-over prompt. As the app prepares to transition you to the next section of a workout, it gives you a heads up and then counts down to the switch. Run 5k also now offers an Apple Watch app. Like all of the current crop of Apple Watch apps, it does require your iPhone to be paired in order for it to work properly. 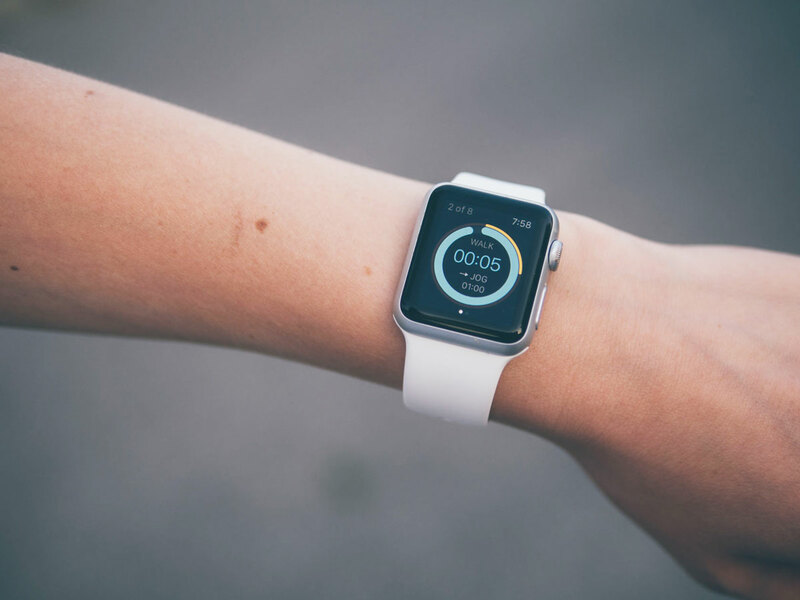 Run 5k on the Apple Watch allows you to start a workout with GPS or motion detection, and also shows your progression through the workout. Run 5k provides a solid post-run experience. It offers plenty of stats and the ability to share your run to social networks so that your friends can encourage you. You can also go back and view old runs at any time, and it’s syncing your information with Health.app so other apps have the ability to bring in your information. This would be useful if you are tracking nutrition/calories using an app like MyFitnessPal. Looking at the Couch to 5k app category, one of the things I noticed is a of them offer a backend service. As I was testings apps, I was marking this as a negative on the apps that didn’t have it. As I pondered this and talked with the rest of The Sweet Setup crew, I realized this wasn’t a big deal. Is it nice? Sure, but like I said earlier, this app isn’t going to be a long term running tracker like RunKeeper. 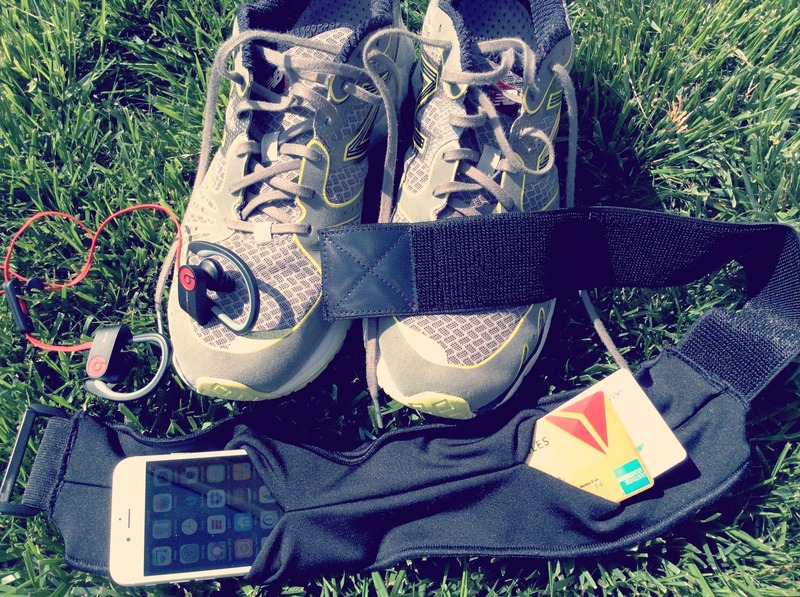 It’s built to be a self-contained app that you hopefully outgrow as you run more. 5k Runner is our runner-up for favorite Couch to 5k app. In reality, it does more than Run 5k. It’s got some training plans (Runners abs, Weight loss, etc), badges you can earn, and inspirations you can read before you run. 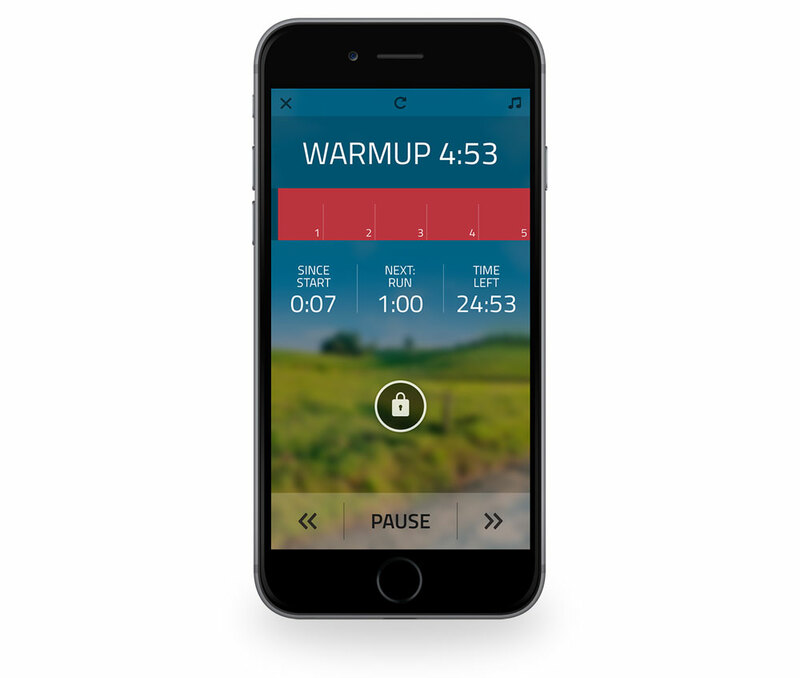 We still prefer Run 5k due to its focused design, ease of use, heart rate monitor support, and Health.app integration. 5k Runner has a more playful design compared to Run 5k. The background of the main screen is scenery instead of a solid color. It also uses a hamburger icon to bring you to the other sections of the app (history, training plans, settings, etc). There is nothing functionally wrong with it, but I prefer the simple aspects of Run 5k. The app includes more voice-over options that include letting you know the half way point and a “motivate me” toggle. The motivate me coaching feels a little quirky, but that might just be my personality. The post-run experience is similar to Run 5k, but it does lack Health.app integration and detailed statistics about the run. If you are looking for a more total body workout (push-ups, sit-ups, etc), their app bundle might be of interest to you. The training plans incorporate aspects of all of the apps in the bundle. 5k Runner is $1.99 in the App Store, but there is a free version that includes the first four workouts. 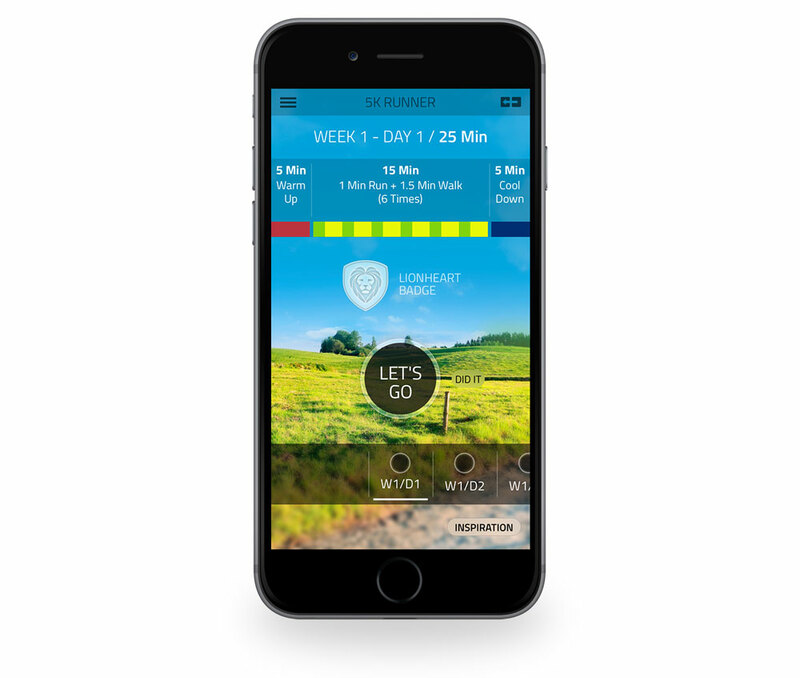 C25k Pro is the official Couch to 5k app. There is also a free version that includes ads. In our opinion, the design of this app is a bit confusing. The navigation at the bottom uses a combination of Safari embeds that feel really out of place. 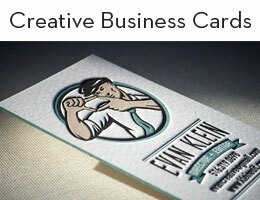 It does have a nice array of themes, but the design was a non-starter. It’s $1.99 in the App Store. This app shares the same name as our favorite, but it’s certainly different from a design standpoint. It has a cartoonish style that I don’t care for, although it does support Health.app integration along with a heart rate monitor. One nice thing about this app is that there is an app bundle for a 10k and 21k program if you want to keep going. It’s $2.99 in the App Store. If you read my article on our favorite running app, you’ll know that I am a big fan of the Zombies, Run app/game. Being a big fan of podcasts and audiobooks, I almost prefer spoken word content over music while running. The Zombies, Run 5k app is perfect for you if you want to “gamify” your 5k training experience. It does sync your runs to their ZombieLink service, so if you progress onto the full version of Zombies, Run! you can keep track of your 5k program runs. It hasn’t been updated in over a year, so it does lack native iPhone 6 resolution. 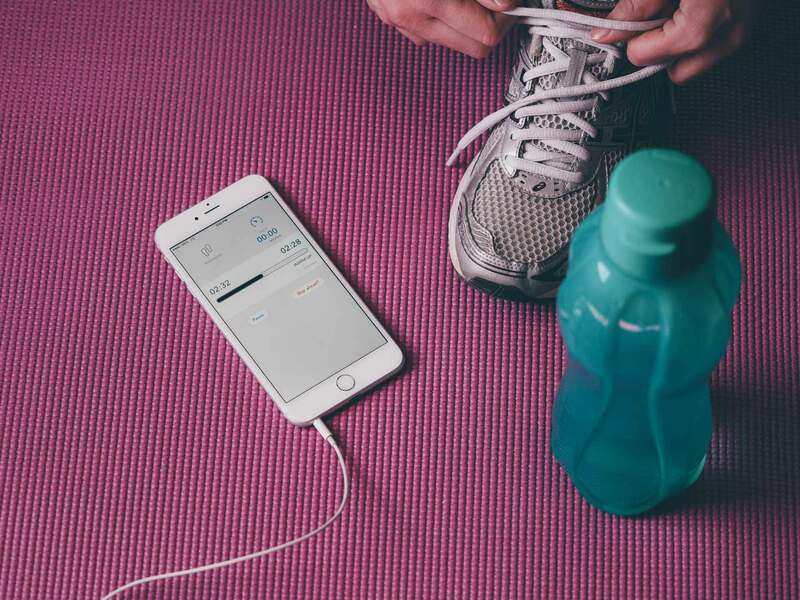 While I love this app, it’s hard to recommend it as our favorite because it’s a totally different type of app than most of the Couch to 5k trainers. When starting a new running program, gear can help you get started on the right foot. Different runners like different kind of gear, so think through what you might want and what would help your run. The JayBird BlueBuds X are an awesome set of Bluetooth earbuds to run with. 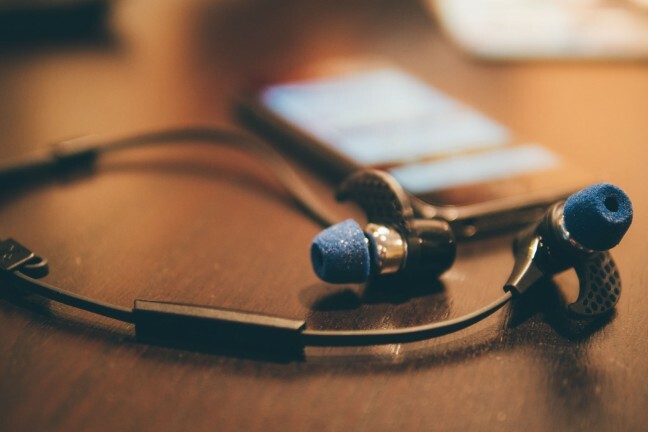 They sound great (especially if you replace the default rubber tips with these Comply memory foam earbud tips) and aren’t likely to fall out during your workout, especially since there’s no cable between the buds and your iPhone to catch on things. 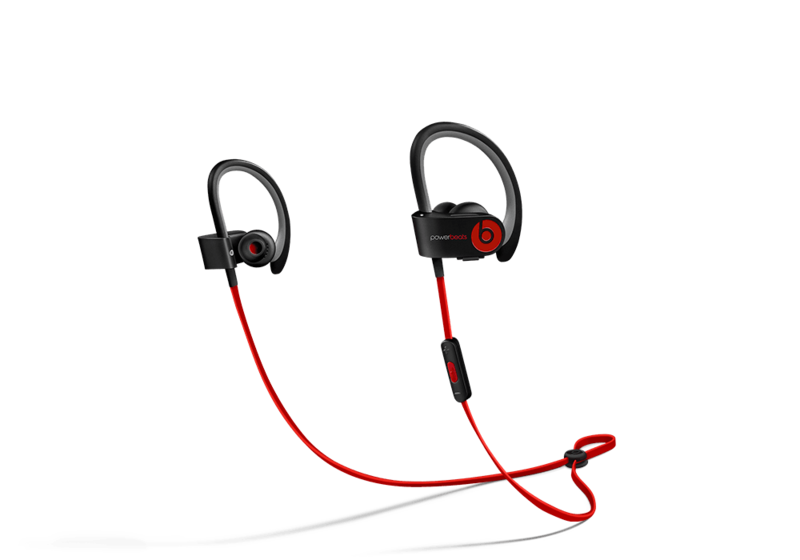 It includes an 8-hour battery life, in-line mic, and lifetime warranty against sweat. You can pick up a pair of the JayBird BlueBuds X on Amazon for $125. A pack of the Comply earbud tips is $16. The main thing that drew me to the Powerbeats 2.0 over the JayBird model is that I liked how they had an ear clip vs just being an in-ear model. This made me think it would help them stay into place as I ran. The music quality is great, but the most important thing is they are extremely comfortable. They don’t flop around or get in my way. You can buy them on Amazon for $199. The Active Rhino Adjustable Running Belt is designed to store your phone, keys, wallet, and more while you are working out. I’ve never been a big fan of iPhone arm bands since most of them require me to take my case off. I also feel like they start to weigh me down on long runs. You can buy one on Amazon for $23.99. 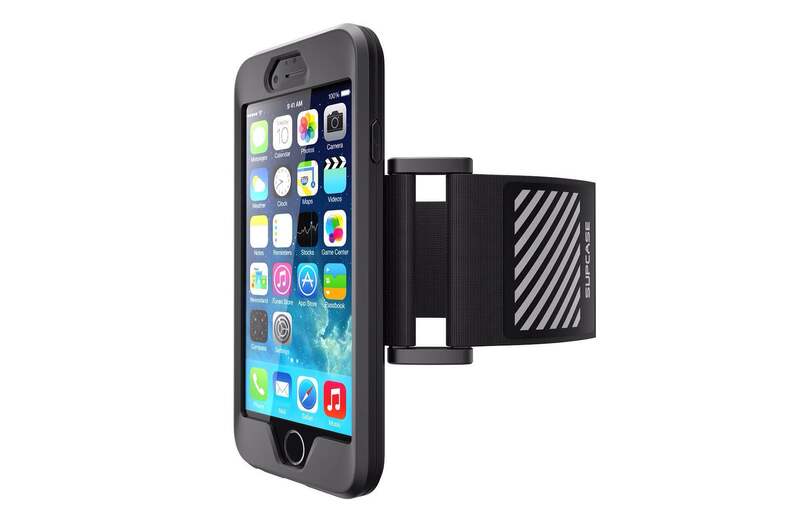 This armband fits the iPhone 6 perfectly and securely. The volume, silent, lock, and Home buttons are all easily accessible, and since there’s no plastic “window” to cover the iPhone screen, it is very easy to view and tap on the screen during a workout. The bottom of the case has openings for the headphone jack, microphone, lightning cable, and the iPhone’s speakers. The silicone case is lightweight and has two slots in the back for the elastic band so it can to be removed if needed, allowing the case to stand alone as, well, a case. 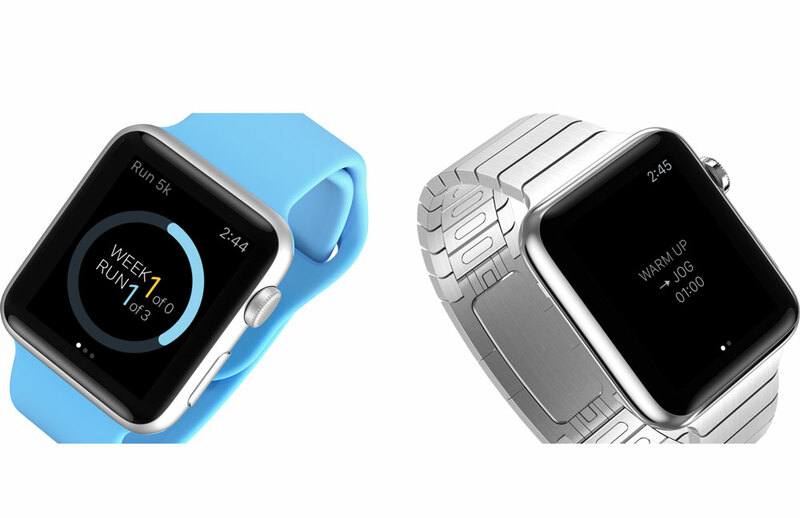 The band itself is stretchy, easily adjustable, and breathes nicely, fitting any arm between 9″ and 21″. You can get it on Amazon in black or magenta. 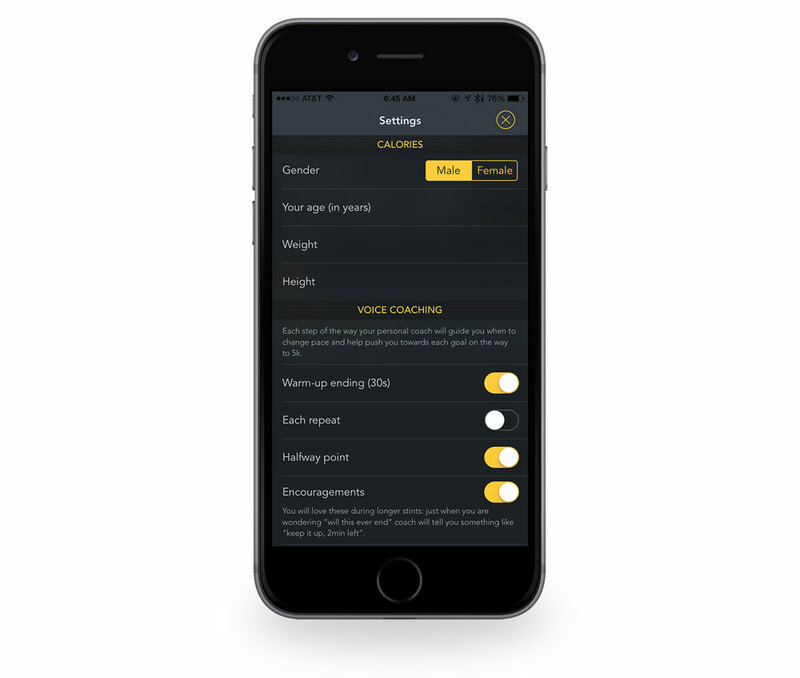 There are a lot of great Couch to 5k app options out there. Run 5k is our favorite, but the most important thing is that you get off the couch and start running. On my “30 year old” check with my doctor, he mentioned that the mistake that a lot of people make is doing weight training only (at the gym) and neglecting cardio. He said that getting your heart rate up for at least 30 minutes, four days a week is extremely important for long term health. You don’t have to run marathons to be healthy, but you do have to get up off the couch and get moving, and Run 5k is a great way to get started. 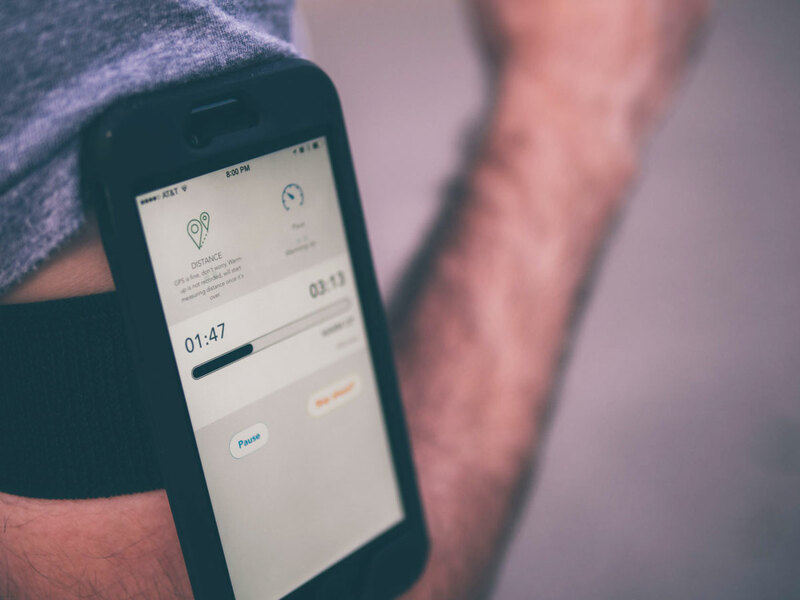 Run 5k is our favorite Couch to 5k app due to its simple design, ease of use, and integration with Health.app. 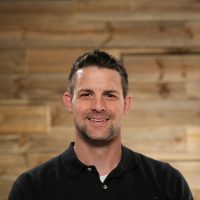 Bradley Chambers is the Director of Information Technology at a private elementary school in Chattanooga, TN.